It was exciting to see Boyd Gaming make a $5 million pledge to UNLV athletics. The pledge is the largest corporate gift in the history of UNLV athletics. Long before Vegas became a hockey town or there was even a possibility that the Raiders would move here, UNLV athletics dominated the local team sports scene. 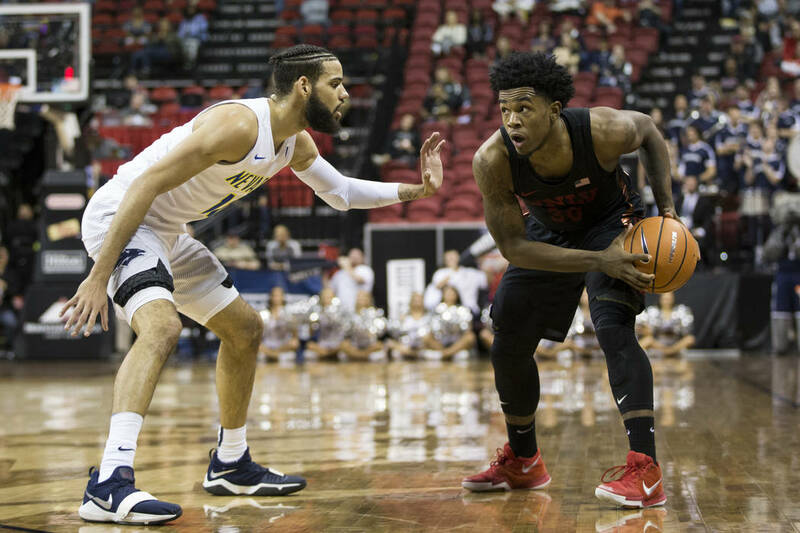 While the Runnin’ Rebels basketball team hasn’t had the same success it had in the early 1990s, it still has a large base of support in the community. That’s why it was especially exciting to see Boyd Gaming make a $5 million pledge to UNLV athletics. The pledge is the largest corporate gift in the history of UNLV athletics. It will go toward a new scoreboard for the basketball program, remodeling the softball stadium and helping to fund the Student-Athlete Excellence Center. This gift comes just two years after the Fertitta family pledged $10 million of their personal funds to the football program. Corporate and individual philanthropy is always worth applauding, because unlike with taxation, there’s no coercion involved. There’s another reason to be encouraged. Government funds often go to those with political connections, instead of those doing the best work. A donation from a private entity, however, comes only when university officials have convinced someone that they’re on the right track. “We believe in the vision of the leadership at UNLV athletics and are proud to know that Boyd Gaming will be closely tied to the Rebels’ emergence among the nation’s elite,” Boyd Gaming executive chairman Bill Boyd said in a statement. There are no guarantees in sports, but the generosity of Boyd Gaming and others will boost UNLV athletics for years to come.